Find and post your town’s best light displays with YuleFinder! With an easy-to-use mobile app, YuleFinder is packed with all the Christmas-time cheer one could handle. It's easy to locate (and help others find) the best lights in your area. Three great ways to ensure your family has the best Christmas light finding experience this year! 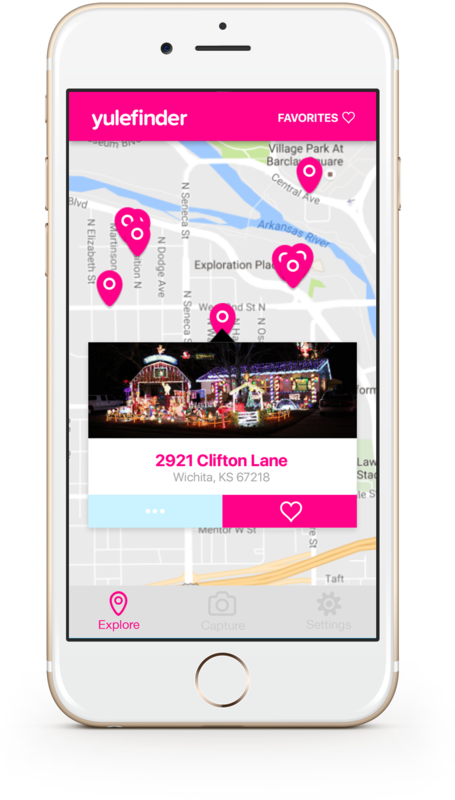 YuleFinder is your spot to find the best holiday light displays in your area! Explore pins posted by other Christmas-loving folks. Post a photo of a sweet light display for others to find. And, favorite that house you saw with over a million lights, twinkling in-sync to your favorite Christmas tune. Make it all happen for you and your family this year with YuleFinder!